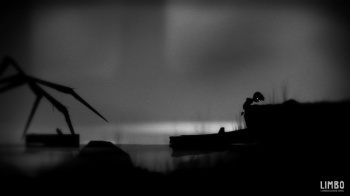 Playdead has announced its game Limbo will be joining the Vita library on June 4th. It's no secret that Sony has been working hard to expand the presence of indie games on PlayStation platforms. Recent efforts by the company have wooed acclaimed titles like Hotline Miami, Lone Survivor and Thomas Was Alone to Sony hardware. Now, it's been announced that a modern indie classic will soon be widening its reach to include the Vita. Playdead's Dino Patti has revealed that its game Limbo will be releasing on the Vita next week on June 4th. "As we approach the third anniversary of LIMBO, the game is finally ready for handheld devices," said Patti. "Together, with the talented people at Double Eleven, we at Playdead have been working hard to adapt LIMBO to PS Vita without compromising the experience." Limbo, which follows the journey of a young boy through a black and white world of gruesome platforming, was originally released on Xbox Live Arcade in July of 2010, with PS3 and PC versions following in 2011. The game would wind up being one of the biggest indie success stories of the past few years, selling more than 300,000 copies in its first month and many, many more in the years to follow. It's somewhat arguable that the release of Limbo's Vita version isn't a big deal at this point. After all, it's been several years since the game's original release and it's already been bought and played by millions of gamers. That being the case, it's nonetheless a welcome addition the Vita's library and perhaps another sign of the Vita developing into a strong platform for independent games and their developers.